wythall radio club | Jamie’s amateur radio takes him far! Jamie’s amateur radio takes him far! Wythall Radio Club member Jamie, M0SDV is off on his travels again! 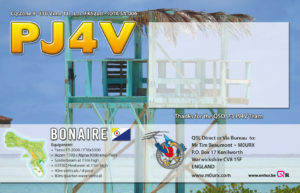 Jamie, who is still relatively a youngster at the tender age of 17, will shortly be operating from Bonaire, a small Caribbean island in the Leeward Antilles. From March 24 – 25, he will be joining an international team of operators for the global ‘CQ WPX (Worked Prefix) Contest’. 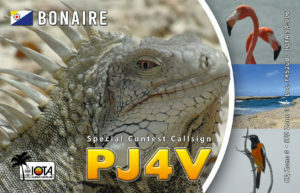 The team – who in addition to Jamie include Philipp DK6SP, Steve PJ4DX, Peter PJ4NX and Bert PJ4KY – have been allocated the call sign PJ4V. Good luck, Jamie! More news as we receive it!